Government-issued bonds offer a traditional parking place for savings. 3. Can Grandparents Buy EE Savings Bonds for Their Grandchild's Education? Savings bonds issued by the government offer safety for your cash and a decent return in interest. They are a time-tested investment that now competes with a wide range of other savings vehicles, such as certificates of deposit and money-market accounts. Savings bonds offer no real tax advantages over these other "time deposits," with one exception related to education expenses. The Internal Revenue Service does not allow you to deduct your investment in government-issued savings bonds. Interest is taxable at the federal level, but not at the state and local levels. Savings bonds are also subject to federal gift and estate taxes, both federal and state, if you transfer ownership to another person or to an heir. The IRS requires you to report any interest you earn on savings bonds as taxable income, using Form 1099-INT. You defer receipt of interest on the bonds until you redeem them, until they mature, or until you have a savings bond reissued. You can pay tax on the interest as it accrues, but if you do this you can't switch to payment of tax on redemption or maturity. If you have a bond reissued and transfer ownership to another person, that new owner becomes liable for income taxes on the interest. There is a tax advantage offered for savings bonds associated with education accounts. If you use a redeemed or maturing Series EE or I bond for your own or a dependent's education expenses, you can exclude the interest from your gross income. There are several conditions, though: you must have been at least 24 years old when you bought the bond, the expenses must be incurred in the same year you took out the interest, and the bond must be registered in your own or your spouse's name. A savings bonds registered in the name of a minor or dependent child may not be subject to taxation. You file a tax return for the child and report interest on the bond as it accrues. Income tax will only be due if the child owner meets the IRS thresholds on all of his income. Since most children do not earn wage income, and savings bonds return a rather low rate of interest, the interest usually ends up as tax-free. 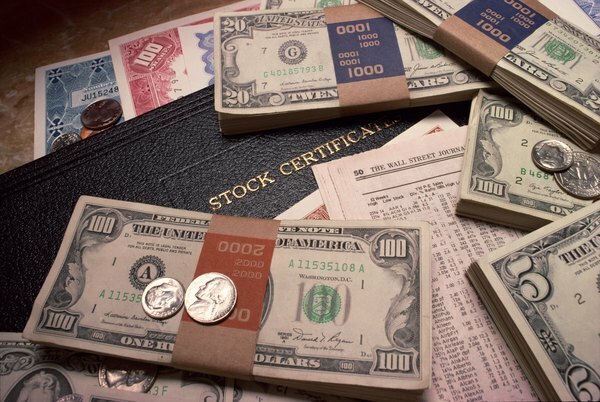 Smart Stock Market: Are Government Savings Bonds Tax Deductible?